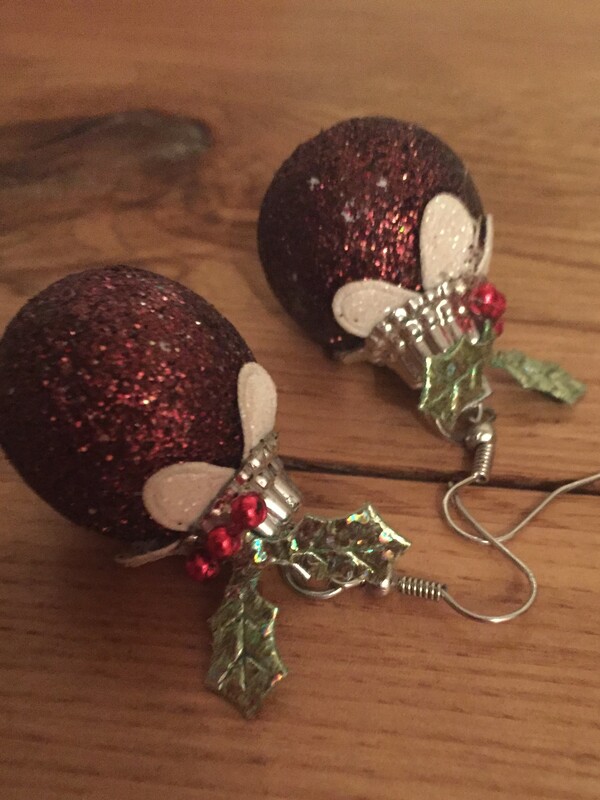 So, Christmas is over and it’s time for me to hang up my pudding earrings once more. Hurrah! Did you have a good Christmas? ‘Quiet’ is the usual, required answer, isn’t it? But mine was anything but… Christmas Day (and Boxing Day and the day after…) was punctuated by my mum’s loud sneezing, nose blowing, coughing and yanking of tissues from a box. And now she’s toddled off home, feeling much better and I’ve got a tickly throat and a headache… NOOO! I am trying First Defence to ward off the terrible lurgie before New Year. I’ll let you know if it works. On Christmas Day itself I almost experienced an Emma-Thompson-in-Love-Actually moment. If you’ve seen the film (we watch it every Christmas but we do have to fast-forward over the excruciating scenes with Liam Neeson’s stepson), you will, no doubt, remember when Emma Thompson’s character Karen finds a gold necklace in her husband’s coat pocket and assumes it’s a Christmas present for her (but on the day, she gets a Joni Mitchell CD instead, the gold necklace being for the evil husband’s lover!). Well, a few weeks ago, I casually mentioned to my OH that I could do with a new rainproof jacket and, as if by magic, a big box arrived in the post one day and before he could whisk it away, I spotted the label ‘SeaSalt’on the side. Lovely jubbly, I thought. But on Christmas morning, we exchanged presents and I’d finally opened everything from him and there was no jacket! Who, I thought, had he bought it for? I was really disappointed (and, er, slightly worried of course, that he might have another rainproof-jacket-wearing woman on the side). But then he uttered the immortal words, “Oh and there is something else….” and the big box was produced (from another room! Sneeky) and here is my jacket! (erm, I’ve just spotted that it’s now half price in their sale! Eek. Don’t tell him). Someone on Twitter posted a photo of all the books they’d had for Christmas. Honestly, there were tons! It was about a year’s worth! I only had one, which I think reflects the extent of my reading. It is shameful! I set myself a target on Goodreads this year, of 20 books. I think I might just manage it. I’m on number 19 (Lethal White by Robert Galbraith. Good but very long!) and then I have a little one that I might just be able to sneak in before the end of the year but one of my resolutions is definitely to read more in 2019. And finally, remember in my last post, I urged us all to ‘let go of perfect’? Well, my sister-in-law (who doesn’t read this blog, as far as I know…) certainly did, bless her. 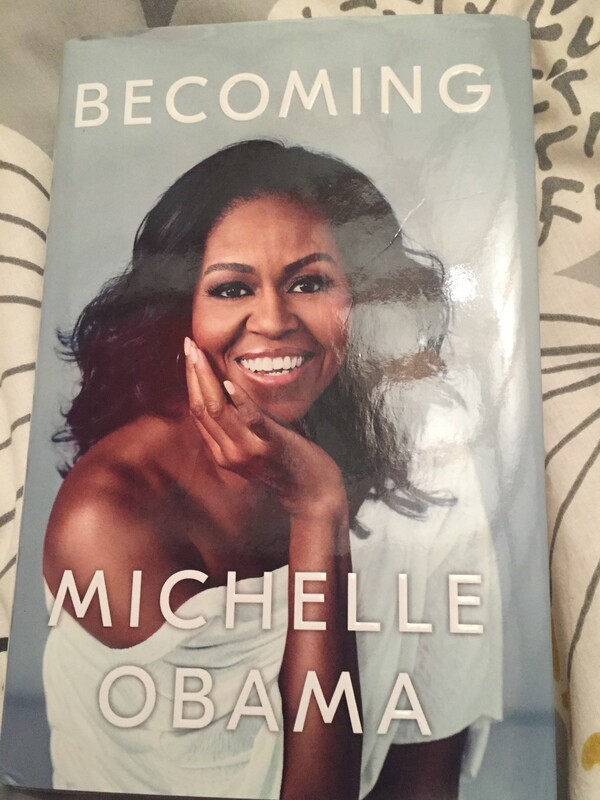 This entry was posted in Bonnie, Books and tagged Michelle Obama; Christmas. Bookmark the permalink. Aw, thank you, Paula. As a dog-owner yourself, you will understand how dogs can shame you! One year on Boxing Day we made the mistake of giving her a chunky liver chew, when we started our annual family quiz, thinking it would keep her quiet. Well… an hour or so later and it had quite a noxious effect on her.. I think you know what I mean. My sister-in-law and niece actually ran across the room (slightly dramatic, I feel), holding their noses. She’s never lived it down. My OH (who was on the opposing team to them at the time), thought it was hilarious and wants to make it an annual event. Indeed, Helen! I think we should use that trick with the dog next time we are losing at Trivial Pursuit! 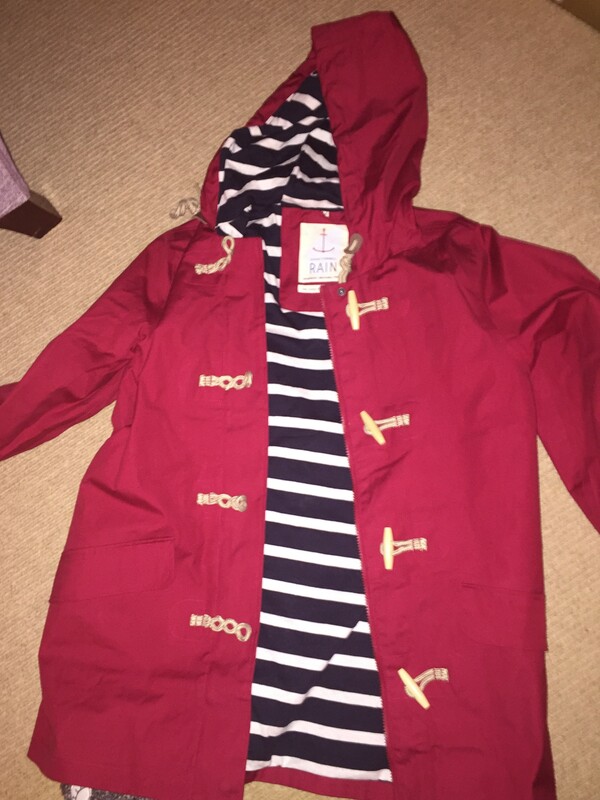 Glad you got your lovely coat, Helen. Thanks for all your sharing and fun posts throughout the year – much appreciated. Hope your cold doesn’t linger, and wish you and yours the very best for the New year ahead. All good wishes Kate Hogan. Thank you Kate. Happy New Year to you too. 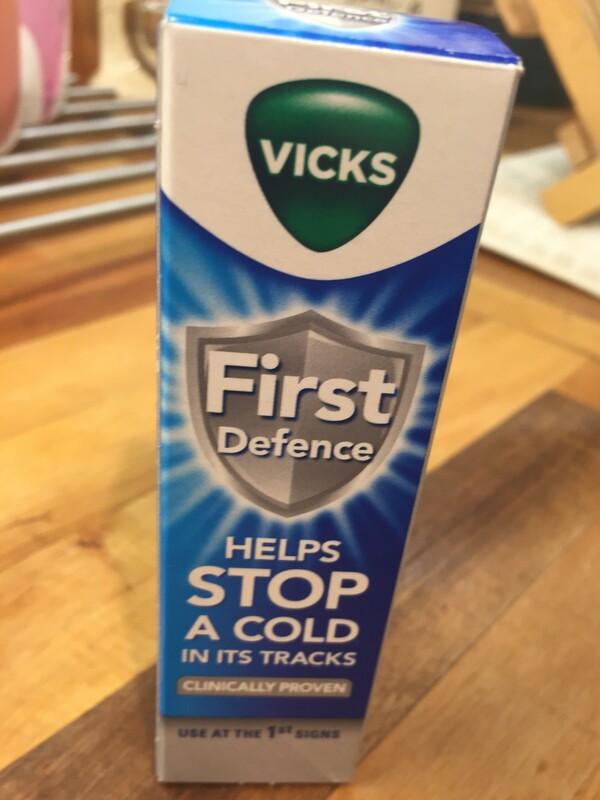 Unfortunately, the First Defence has FAILED and I am sneezy and snotty (sorry, too much information, probably) BUT hopefully it won’t be too bad and I’ll be fine in a day or so. Great blog, as always. Here’s to a sniffle-free new year! Thanks, Julia – happy new year to you and yes, let’s hope it’s a happy and healthy one! Looking forward to another of your word comps when you reach 900 followers. Thanks Keith and Happy New Year to you too. Yes, I will definitely be running another comp when I get to 900! Hopefully not too long now! Wishing you a happy new year, Helen! Am looking forward to reading M. Palin’s ‘Erebus’ sometime soon. When I’ve finished the latest Sue Moorcroft, of course! Thanks, Penny. I’d not come across Michael Palin’s book before you mentioned it here but it sounds intriguing. Let me know what it’s like, when you’ve read it.